LEINSTER WON the Heineken Cup for the third time in four years, beating Ulster 42-14 at Twickenham. The Northern Irishmen started the game well, enjoying the majority of the possession early on and kicking the first penalty. But although they created their share of chances they failed to capitalise on their opportunities, and after Sean O’Brien struck with a try for Leinster in the 13th minute, they never regained the lead. In the 31st minute, Leinster won a scrum against the head. The ball reached Brian O’Driscoll, and a sweet back-door offload released O’Brien into the Ulster 22. He in turn set Cian Healy off towards the line. That second try put Leinster 14-3 up and Ulster never looked like coming back. 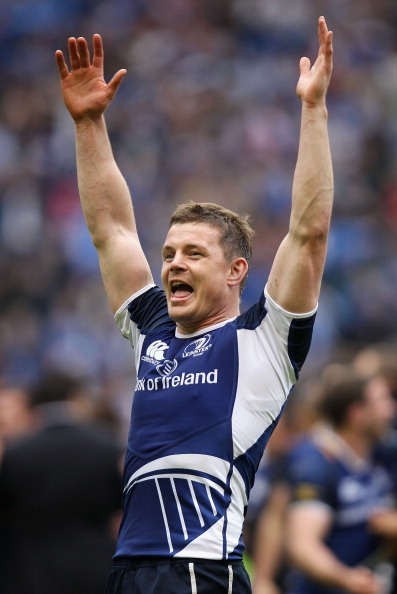 Speculation surrounded O’Driscoll’s fitness in the build-up to this game, but the veteran centre showed his true class today, one minute putting in sublime offloads, and the next acting like a fourth back-rower. Ulster missed a number of opportunities to inflict damage on the score board and failed to bring the same level of intensity as Leinster in attack, scoring just one try to the Dubliners’ five. But they were facing a team with a rock solid defence and experience far superior to theirs, and can be pleased with what they’ve achieved this season. Having not played in a Heineken Cup final since 1999, the loss will ultimately stand them in good stead, and on occasions such as their quarter-final win over Munster in Thomond Park they have shown what a force they can be. A crowd of 81,744 turned out at Twickenham – a record for a Heineken Cup final. In addition, Leinster broke some records of their own: the most points (42) and tries (five) scored, and the biggest winning margin (28) in a Heineken Cup final. 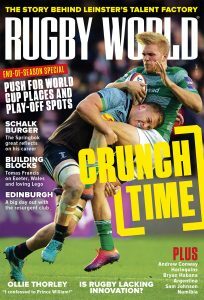 Leinster coach Joe Schmidt: “I’m proud of the way we stuck at it. It was tough going for the first 60 minutes, but I’m very proud of the way we defended. Brian McLaughlin and David Humphreys have done a good job with this team (Ulster), and I’ve huge respect for them as coaches, and the quality of players they have. LEINSTER: Rob Kearney (Brian O’Driscoll 73); Fergus McFadden, Brian O’Driscoll (David Kearney 68), Gordon D’Arcy, Isa Nacewa; Jonathan Sexton (Ian Madigan 74), Eoin Reddan (John Cooney 74); Cian Healy (Heinke van der Merwe 62), Richardt Strauss (Sean Cronin 68), Mike Ross (Nathan White 70), Leo Cullen (capt, Devin Toner 58), Brad Thorn, Kevin McLaughlin (Shane Jennings 62), Sean O’Brien, Jamie Heaslip. Tries: O’Brien, Healy, penalty, van der Merwe, Cronin. Cons: Sexton (3), McFadden. Pens: Sexton (3). ULSTER: Stefan Terblanche; Andrew Trimble, Darren Cave (Adam D’Arcy.78), Paddy Wallace, Craig Gilroy; Paddy Jackson (Ian Humphreys 46, Paul Marshall 70), Ruan Pienaar; Tom Court (Paddy McAllister 75), Rory Best (Nigel Brady 78), John Afoa (Declan Fitzpatrick 74), Johann Muller (capt, Lewis Stevenson 74), Dan Tuohy, Stephen Ferris, Chris Henry (Willie Faloon 68), Pedrie Wannenburg. Try: Tuohy. Pens: Pienaar (3). Sin bin: Terblanche (73).